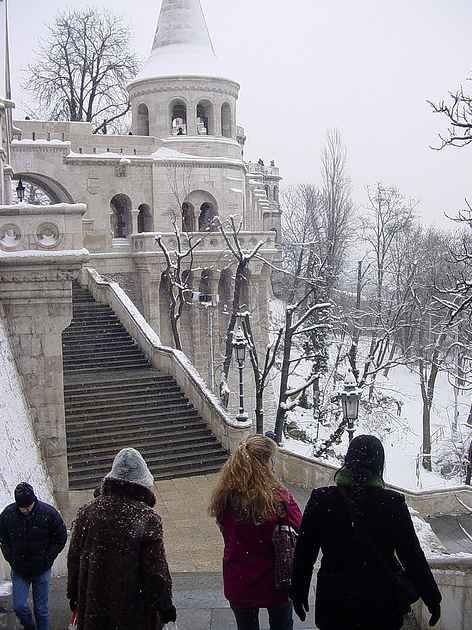 Are you visiting Budapest in winter? Enjoying the Christmas and the beautiful festive markets? Are you exploring the Hungarian capital and feel uncertain about what the winter months, events, Christmas opening times are in Budapest? We believe that Budapest is magical, fun, loveable, and exciting in the cold and snowy December and January months, despite the fact that the weather can be freezing, the sunset is too early, and we miss the fantastic summer terraces and breezy late walks. 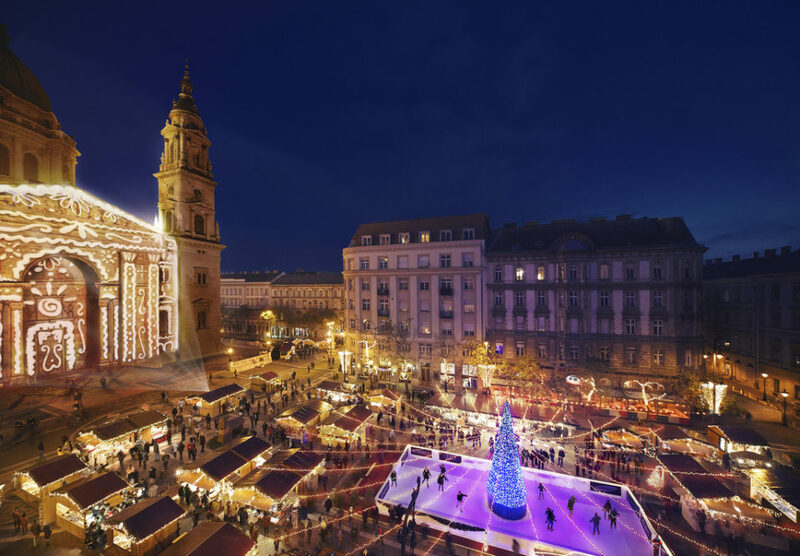 Frequently asked questions about Christmas in Budapest, and many helpful answers. What is the weather like in Budapest in December? What is the weather like in January? Is it snowing at Christmas in Budapest? The weather is cold, often with chilly winds, temperatures below zero degrees Celsius (0°C) or 32 degrees Fahrenheit. December and January can be both cold, or even snowy. While the snow gets quickly cleaned up, it can be about 15 cm thick in the parks or more, which is ideal for those who love snow, or have children to enjoy building snow men. The average temperature is between -1°C and +4°C in Dec, and Jan traditionally gets colder with an average temperature of -4°C and +1°C in Jan. The riverfront gets the mos wind, while the tall buildings of the city keep the rest of Budapest less windy by creating a natural wind breaker. 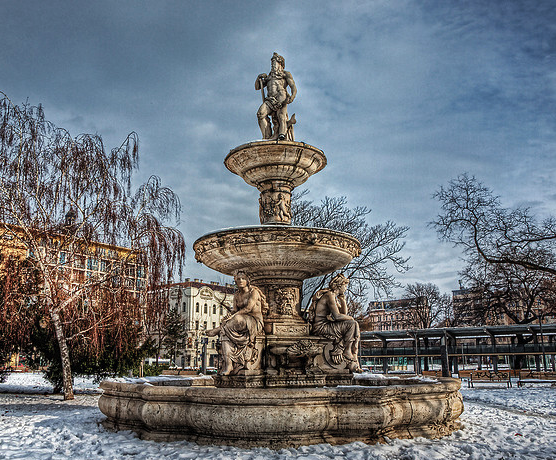 The heating inside shops, museums, buses, trams and metros, and other Budapest attractions can be quite high, with an average temperature of 21 degrees Celsius (21°C) or 71 degrees Fahrenheit. This calls for a clothing style with many layers to make you quickly able to adapt the changing temperatures of your Budapest visit. Is everything closed at Christmas in Budapest? Christmas opening hours in Budapestdo differ from the standard opening times. Dec 24: Most things are closed in the afternoon and evening on Dec 24, with a few exceptions. Things to do on Dec 24 in Budapest. The morning opening hours on the day of Christmas Eve are generally as usual in most places in Budapest, up until noon or 2 pm. Dec 25: Most things are still closed on Christmas Day on Dec 25, with a few exceptions. Things to do on Dec 25 in Budapest. Dec 26: Many places, like restaurants, are back on track with the Sunday opening hours on Dec 26, but museums are still typically closed on this day. Things to do on Dec 26 in Budapest. Many of the hundreds of restaurants are closed in Budapest on Dec 24 and Dec 25, but a dozen of restaurants in the city center and in touristy areas remain open on Dec 24, Dec 25 and Dec 26 too. See the Christmas opening hours of Budapest restaurants. Can I get Christmas Eve dinner in Budapest? Can I get Christmas Day lunch in Budapest? Or maybe a Christmas brunch? Can I get Christmas Day dinner in Budapest? Are there any special Christmas events in Budapest? There are many Christmas events in Budapest, most of them are scheduled for the Advent period, from mid and late November until the 24th of December. 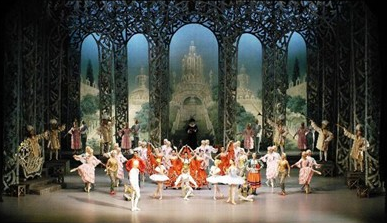 However, many of the events sell out before December. 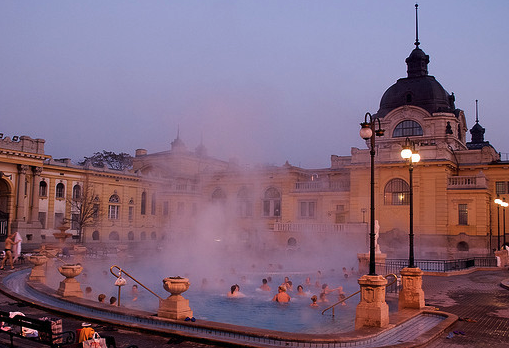 So if you want to see a show, concert, enjoy a tour, or a treatment in the thermal baths. try to book in advance to get a good seat. December could be well interpreted as a month long Christmas Festival in Budapest with some of the best Christmas markets not only in Hungary, but in Europe, often making the top lists of European Christmas destinations. 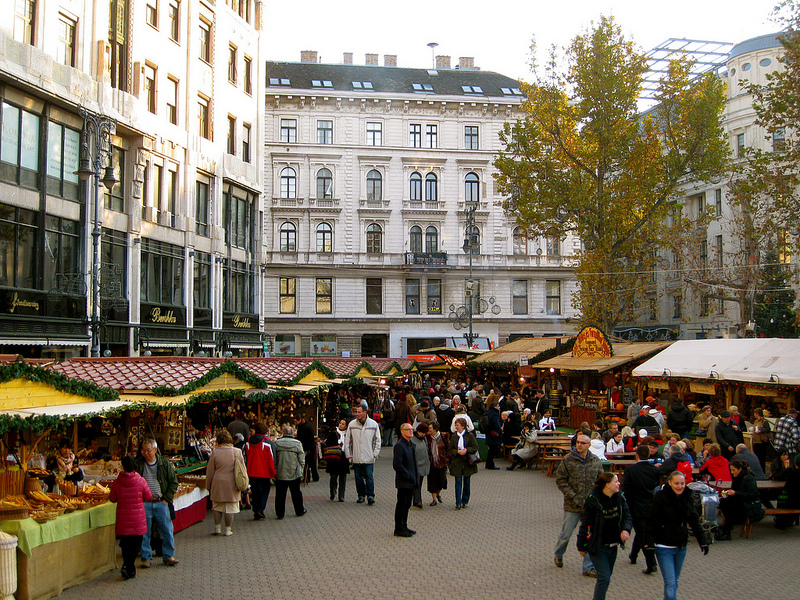 Which is the best Budapest Christmas Market? 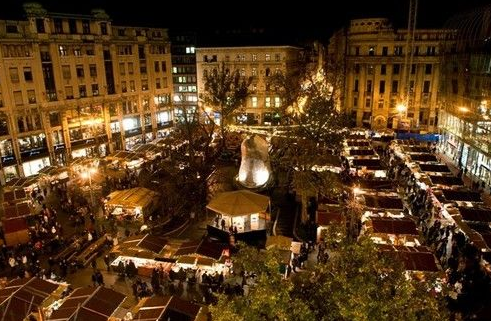 The Christmas market on Vorosmarty Square – organized by the Hungarian Tourism Office – is the mother of all Christmas markets in Budapest, which has earned the most appreciation from major travel magazines, and anyway unmissable with its super central location. The Advent Market by the St Stephen’s Basilica is just a short walk from the Vorosmarty Square and offers other programs, like light painting on the Basilica. Do not miss it! If you want to see something less crowded and less touristy though, we warmly recommend the Obuda Christmas Market at the Advent weekends. But, honestly, if you can visit all of the Christmas fairs, you will love all! 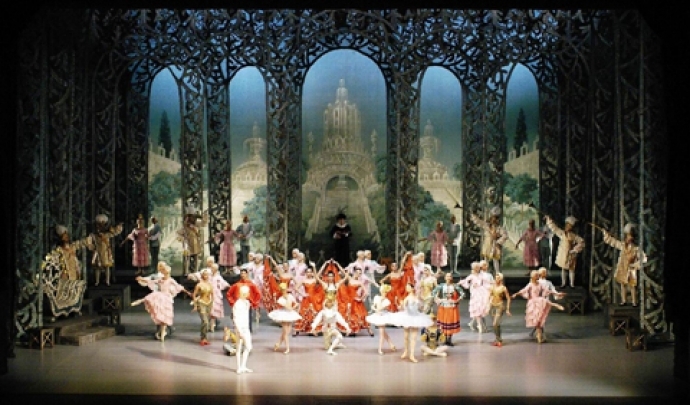 Which Christmas concerts are the best in Budapest, Hungary? Classical music church concerts at Xmas: St Stephen’s Cathedral Budapest, see the Basilica Christmas organ concerts here, and the St Stephens Basilica Choir Concerts here. 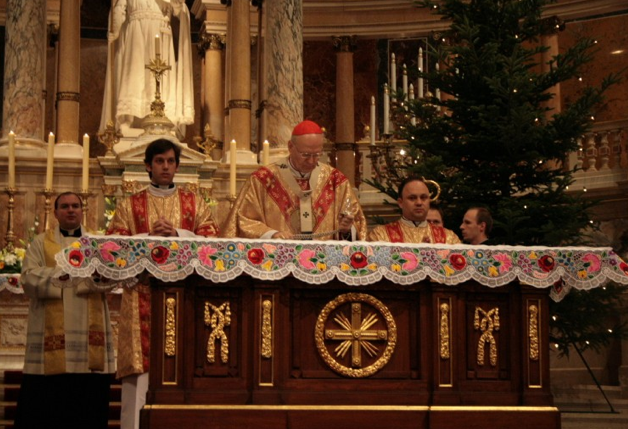 Also, there are church concerts in the Advent period in Budapest, even on Christmas Eve. What can I buy as a Christmas gift in Budapest? There are many gifts you can take home from Budapest from your Christmas visit or winter holiday in Hungary. 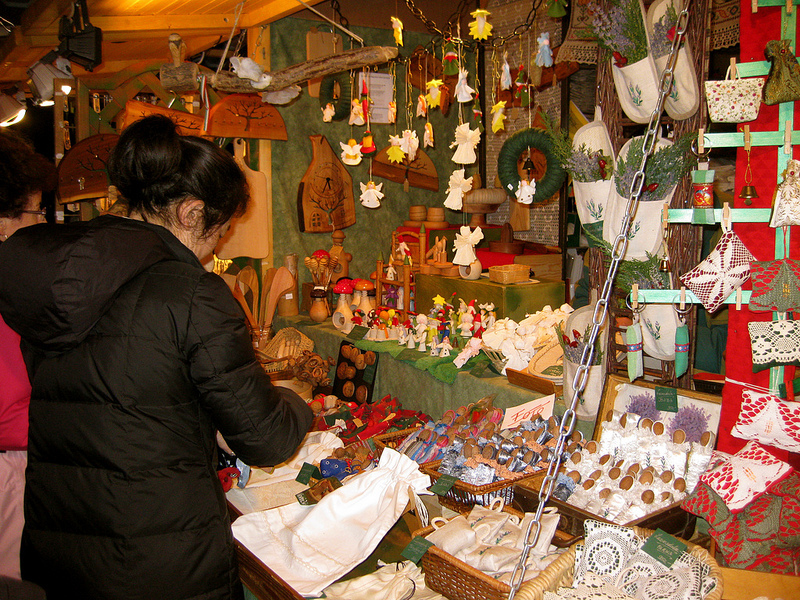 Some of the Hungarian Christmas gifts or souvenirs from Budapest could easily be bought at any of the Christmas fairs in Budapest, e.g. handcrafted bags, jewels, Christmas mugs, or handmade Christmas tree decor, traditional Hungarian chocolates, like the Christmas fondant candy in Hungary (szaloncukor), a roll of Beigli (sweet cake roll with walnut, poppyseed or chestnut, from the best Budapest confectioneries), etc. You can also visit the Budapest Central Market (not open during the Christmas holidays and on Sundays), or take a look at the Budapest Shopping Map for more ideas and information. What are the Hungarian Christmas traditions like? 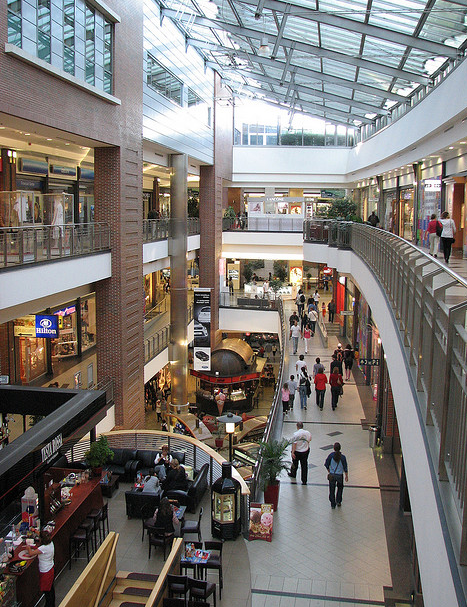 Hungarians usually spend all the Christmas with their families and friends. On Dec 24, after 2pm locals rush home to put up the Christmas tree, do the last minute Christmas wrapping, get changed in smart clothes for Christmas Eve, or take the last buses and trains to another town, village where the Christmas family get together takes place. This means that the city of Budapest gets quiet by around 4-5pm, which is least noticeable in downtown Budapest, in Districts 5, 6 and 7 (found on maps as District V, VI, VII). As children are already at home on Christmas holidays, mums usually also take their Christmas holidays out. 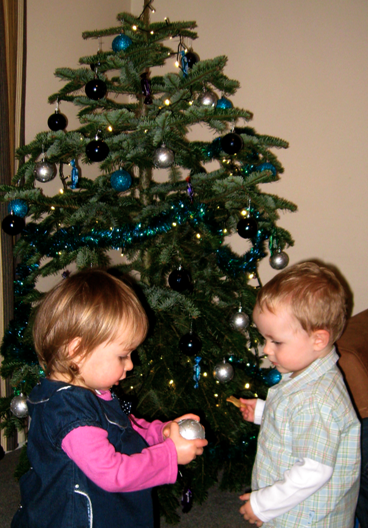 The decoration of the Christmas tree is usually done on Dec 24 in the morning. It is not customary in Hungary to put up the Christmas tree weeks or days before Christmas Eve. Most people buy their Christmas trees on the markets (special fir tree markets sprung up in Budapest, and all over Hungary), but recently more and more are switching to the more environment and wallet friendly artificial Christmas trees. Besides traditional Christmas decorations, like Christ balls, Xmas lights, Hungarians decorate the trees with a special Christmas candy called Szaloncukor, which is a chocolate covered bonbon / fondant. The families get together at about 5-6pm on Christmas Eve to celebrate the evening together with singing, swapping Christmas gifts, chatting over the Christmas dinner table packed with the traditional Christmas foods in Hungary. What is the traditional Hungarian Christmas meal? Most Hungarians buy their annual carp for the Christmas holidays. Carp is a river fish that gives the basis of the Hungarian fish soup. Mind you, many Hungarians may not eat fish soup or carp throughout the year, just at Christmas to keep the family traditions live. And not everyone in the family loves fish soup, it is quite a big divider among family members in fact. Another traditional soup at Xmas is wine soup (sounds like gluhwein / mulled wine, right? ), and the less widespread yummy chestnut soup. 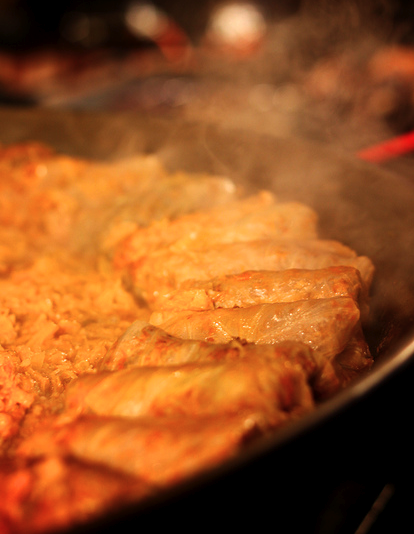 The most traditional item on the Christmas menu in Hungary is Stuffed Cabbage. The question is what is the cabbage stuffed with? Well the nice and warm cabbage rolls are filled with a mixture of ground pork, spices and rice (or barley) wrapped in the sour cabbage leaves and cushioned with lots of sour cabbage (sauerkraut). the pork and rice filled stuffed cabbage. In recent years, turkey dishes are on many Hungarian Xmas tables. The turkey dishes are made in all forms, so there is no classic Christmas turkey dish in Hungary (and it is in fact just a more recently spreading ‘healthy’ Christmas option in the last few decades). But one trend can be observed: Hungarian housewives prefer to make and serve the Christmas turkey only in parts, rather than a huge big bird. For instance, you can get stuffed turkey breast, or fried turkey thighs, etc. in the cream of nuts, poppyseeds and ground chestnut puree. Beigli is very sweet, and can store well, often eaten even in January. Otherwise this is a classic Xmas cake, and not eaten in other months (only in December and January). Shops, supermarkets and local confectioneries make tons of beigli, and by the end of December everyone feels under the deadly pressure of beigli, especially those Hungarians who need to visit many family members all over the country, and need to politely eat through all the beiglis, the stuffed cabbages etc. :) This is not to complain, far from it. But it is true that Hungarian hospitality is not only very warm, welcoming, but is also much about feeding the guests. Beigli will mainly appeal to you if you have a sweet tooth, cut a thin slice and try it for yourself. If you buy it in Hungary, try one of the best confectioneries in Budapest. Many housewives also make gingerbread cakes, or other cakes and pastries. 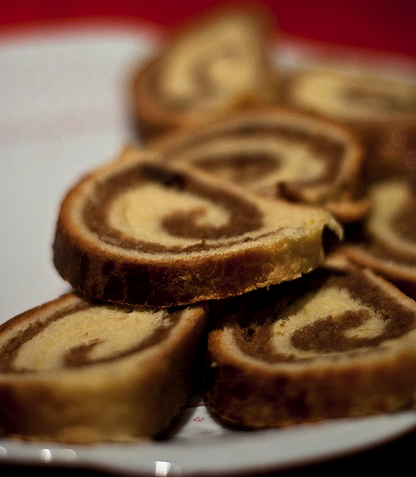 In our family for instance gerbeaud cake is traditional (Zserbó sutemeny). While the Christmas holidays are relatively quiet in Budapest, we would not say that everything is all too quiet. Especially less and less so in the last few years, as if the western Christmas customs were slowly forming the traditional ways Hungarians celebrate Xmas. As a tourist you may expect to face modified opening hours on Dec 24, 25, 26 and Dec 31. Otherwise regular opening hours apply. December 24 in Budapest: On Dec 24 Christmas Eve it is not easy to find things to do in the evening. Of course you can always enjoy a bit of sightseeing walking by the river Danube, or up in the Buda Castle (the courtyards are not closed, even though the castle buildings are), but after 1-2 hours of walking in the cold winter weather it is nice to know where you can retreat with pleasure. Christmas Eve Dinner Cruise: a romantic 1.5 hour river cruise in Budapest on Xmas Eve with buffet dinner, drinks, live music, charming Christmas lights which make the city itself a giant Christmas present and glittering treasure box. Charming sights.